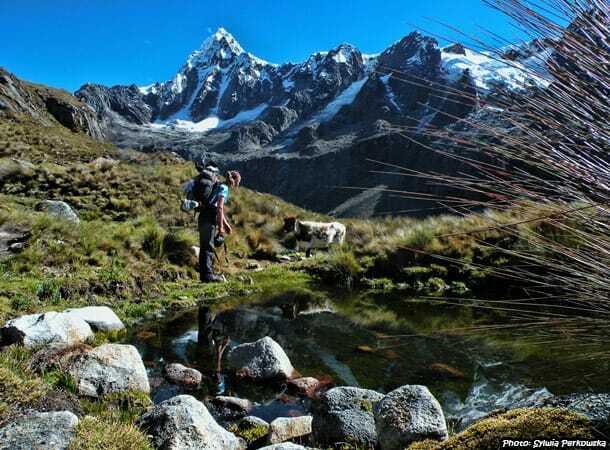 Santa Cruz is definitely the most frequently chosen trek in Cordillera Blanca, Huaraz, Peru. 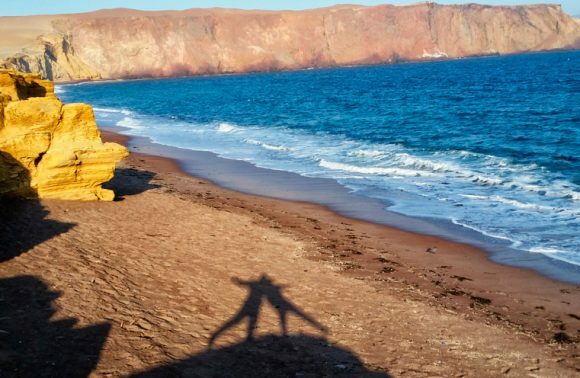 Most people decide to do four-day Santa Cruz expeditions, but the good news for all of you who want to make it shorter – you can also do it also in three days. Due to the fact that most tourists are short on time, it is always worthwhile to analyze all possibilities and choose the ones that allow you to see more in a shorter time. 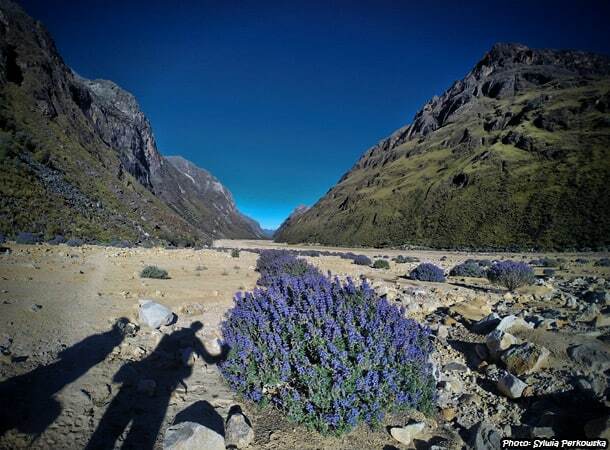 Below, you will find tips regarding how to organize the Santa Cruz trek on your own, in 3 days. 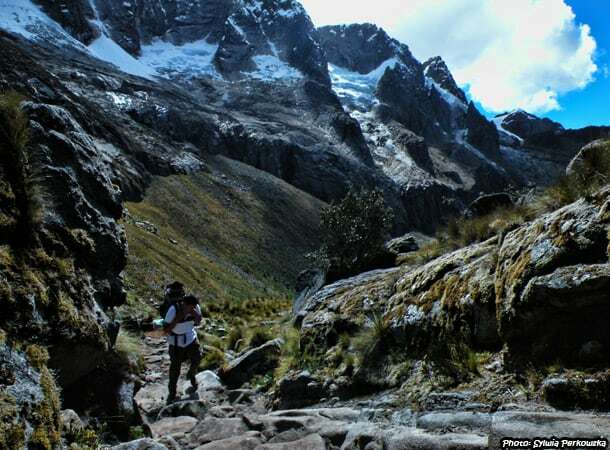 To overcome the route in 3 days, you need to focus on properly organizing the expedition. If you have your own equipment (tent, sleeping bag, cooking set, etc. ), and the strength to carry this weight on your back (typically between 10-14 kg depending on the weight of equipment), I recommend that you try going without a travel agency. Not only will you save a lot of money, but you will be the master of your journey from the beginning to the end. 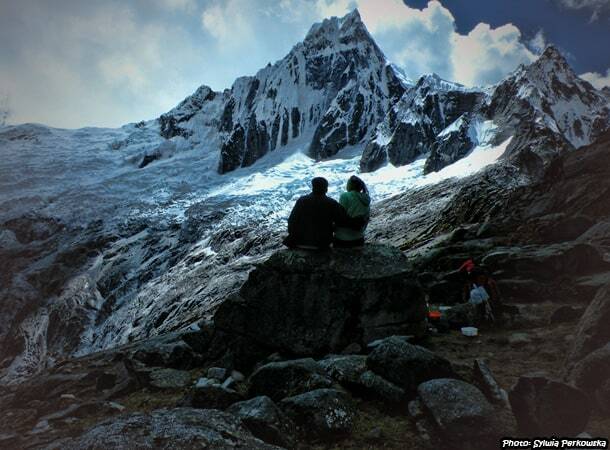 Therefore, you will have full control over where to stay at night, where to rest and what you will eat during the trek. If you are afraid of getting lost, do not worry. It is not easy to get lost on this route. There is only one road, which is usually filled with other hikers. A lot of tourists walk on that path, so even if you are unsure about something, you will be able to ask for directions. Due to the popularity of this route, it is difficult to avoid the contact with other people. So if you dream about escaping people for some time, you should consider choosing another route. 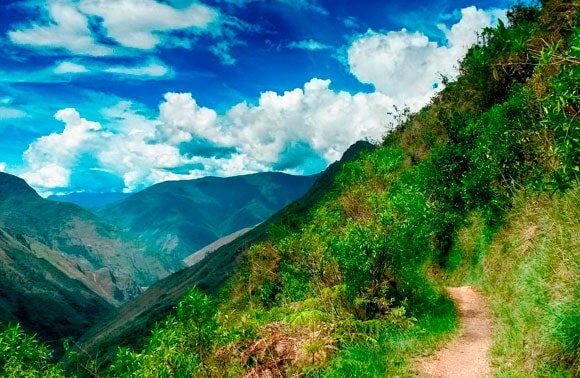 When choosing the Santa Cruz trek, remember that in order to do it in 3 days you should start your adventure in Vaqueria and follow the route to Cashapampa. 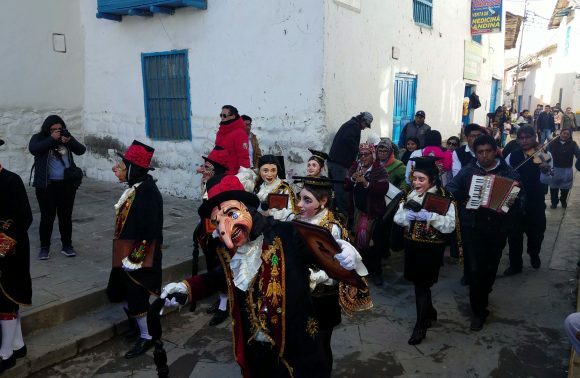 This is because it is much easier to reach the village of Vaqueria on the morning of the first day of the trip than it is to go to Cashapampa. In fact, it can take more than half a day to go to Cashapampa. Secondly, if you choose the option from Vaqueria, the majority of your route will be downhill. If you start from Cashapampa, you will have much more uphill climbing to do. Thus, you would have to spend more energy and strength to overcome the road. In conclusion, I strongly recommend that you start the trek in Vaqueria. 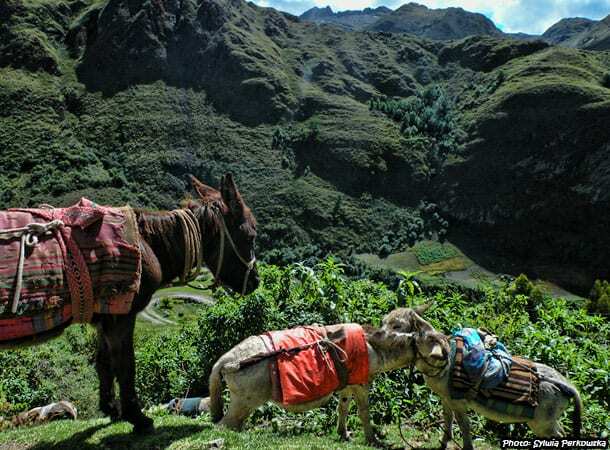 It is a tiny village located in the mountains, around 4-5 hours from Huaraz. Our trip began at 6:00 AM, when we took a colectivo to Yungay. After about 1.5 hours we reached the town. Here we had to wait a little longer for the next colectivo, which took us directly to Vaqueria. After receiving quite a good price, 15 soles per person, we moved towards our starting point. The road was terrible as it was very bumpy. This part of the trip took almost 3 hours. We arrived at Vaqeria at around 11:00 AM. Here, we had a quick meal and our adventure began. On the first day, we finished trekking at 5:00 PM. The route was not difficult, but because of our heavy, we were quite exhausted. We started the second day at 7:45 AM. This was a very picturesque, varied and challenging part of the trip. On this day we had to overcome the mountain pass, which was definitely the most difficult part of the entire expedition. 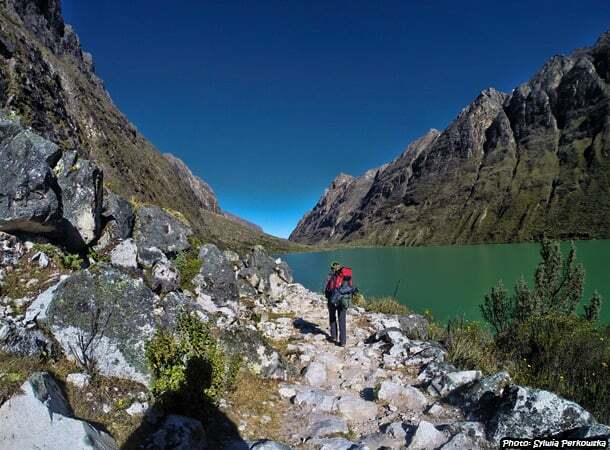 However, what made the second day longer than the first was that we wanted to see the lagoon situated in front of the beautiful peak of Alpamayo. To get to the lagoon we had to stray from the main path of Santa Cruz and take an extra walk, adding 1.5 hours to our journey each way. Despite the fatigue, we made it. We arrived at the base camp at around 16:45 PM. We abandoned our backpacks on a tree because, with them, we did not have the strength to climb any higher. So the last 20 minutes of hiking to the lagoon, we did without a load. We were a little apprehensive about whether or not our equipment would still be where we left it when we returned, but thankfully, they were. 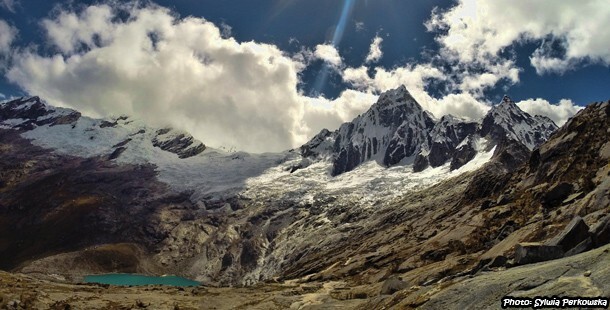 Because it was a little too late to go back to the main trail of Santa Cruz, we decided to spend the second night close to the lagoon, in the base camp of Alpamayo. It was the perfect place for camping; incredible silence, peace, the absence of any signs of tourists and a beautiful view of the snow-capped peak of Alpamayo. After a well-earned rest, we started our final (third) day of the expedition at around 6:30 AM. This was the easiest day, as it was predominantly downhill. The only obstacle we encountered was the distance. At around 3:00 PM, we managed to finish the trek in Cashapampa. After short rest and a warm meal at a roadside bar, we caught a taxi to the town of Caraz, where we arrived at 6:00 PM. 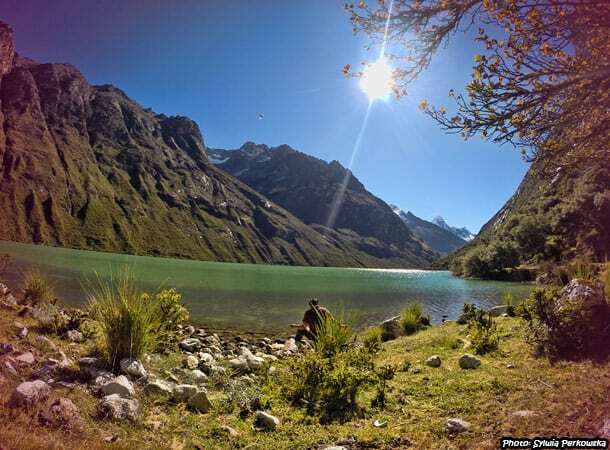 Here we took a collectivo directly to Huaraz. The Santa Cruz adventure finally came to an end at around 7:30 PM. 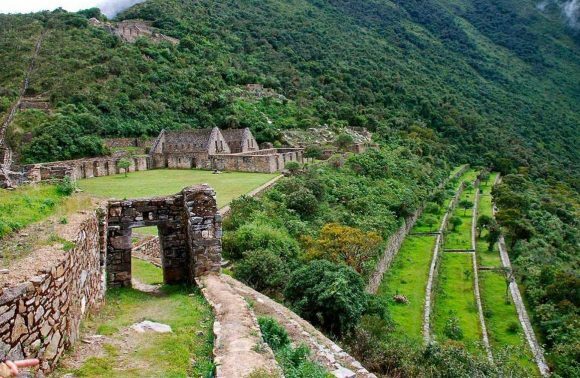 If you decide to organize the Santa Cruz trek on your own; it is necessary to start your tour in the village of Vaqueria. Leave Huaraz no later than 5:00 AM. 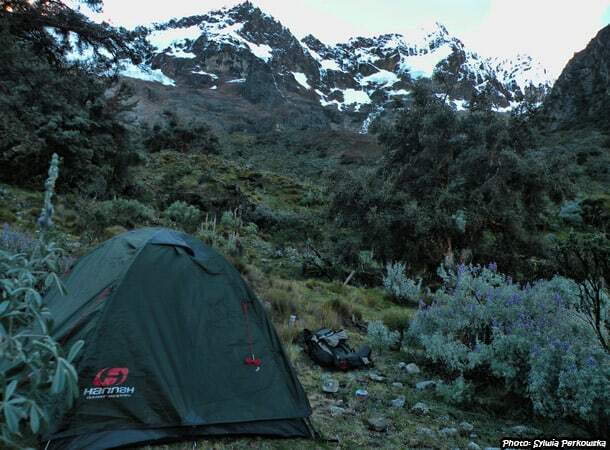 By doing so, you will be able to overcome a long section of the route on the first day and have the choice to sleep in the middle of beautiful scenery, about 2 hours away from the first camp. 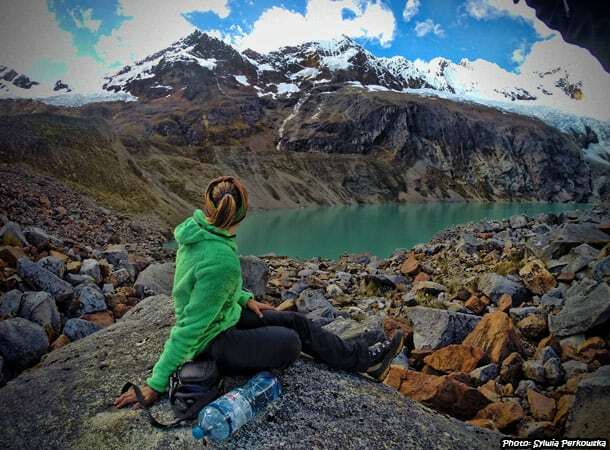 This will also help you to overcome the second day of the trail and you will have more time to visit additional places, like the lagoon in front of Alpamayo mountain :-). I wish you the best of luck and hope you enjoy the trip! Cześć. A możesz napisać coś o jedzeniu na Santa Cruz? Co wziąć najlepiej ze sobą? Dzięki za ciekawy artykuł, postaramy się skorzystać z rad. 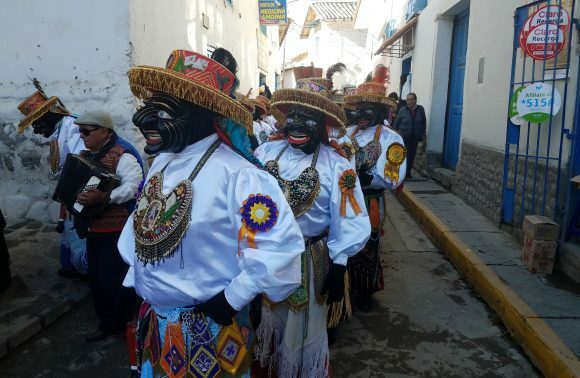 jak najabrdziej w Huaraz mozna wypozyczyc sprzet roznego kalibru. Jest kilka firm, ktore poza servisem oferuja takze wypozyczanie sprzetu, sa tez takie ktore zajmuja sie wylaczenie wypozyczaniem sprzetu. Co do trekkingu sam w sobie nie jest az tak wymagajacy, chyba ze sie go robi w 3 dni oraz z calym ekwipunkem na plecach – wtedy daje troche w kosc. 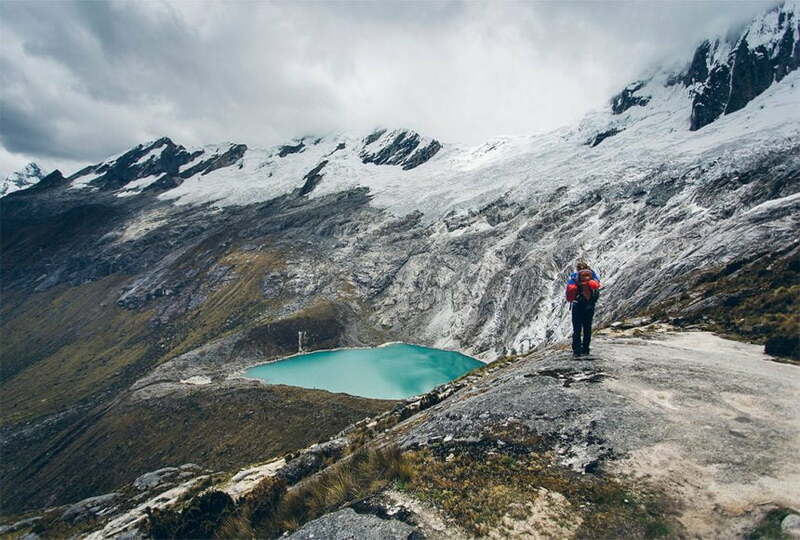 Czy na wlasna reke – poki co jeszcze nie weszly pzepisy o tym, ze trekkingi mozliwe sa tylko z przewodnikiem, ale bardzo sie do tego Huaraz przybiera. Mozna samemu, przy czym z uwagi na wysokosc nigdy nie polecam samodzielnego wychodzenia w Andy. Chodzi glownie o bezpieczenstwo. Lepiej zabac sie z kims i zorganizowac wszystko wspolnie. Ceny – troche juz nie aktualne – znajdzisz w artykule. Na chwile obecna nie wiem, czy cos sie zmienilo, bo santa cruz ponownie nie robilam. Ale nie saze by ceny duzo poszly w gore, ewentualnie nieznacznie. 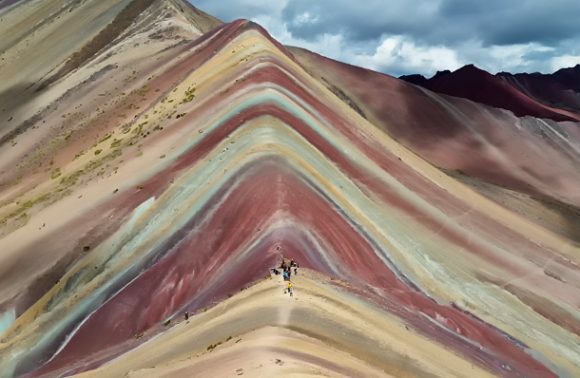 Jak zawitasz do Cusco polecam moj ulubiony trekking Mountain Reinbow oraz Ausangate. Inna super opcja to trasy w okolicach Lares – jest tam wiele ciekawych szlako, i ciekawi, loklani ludzie na tych szlakach. Pozdrawiam Cie bardzo serdecznie i zycze udanych trekkingow! Dzięki wielkie Sylwia za odpowiedź, na pewno skorzystam!